PO Box 88, Allen, Michigan 49227-0088. 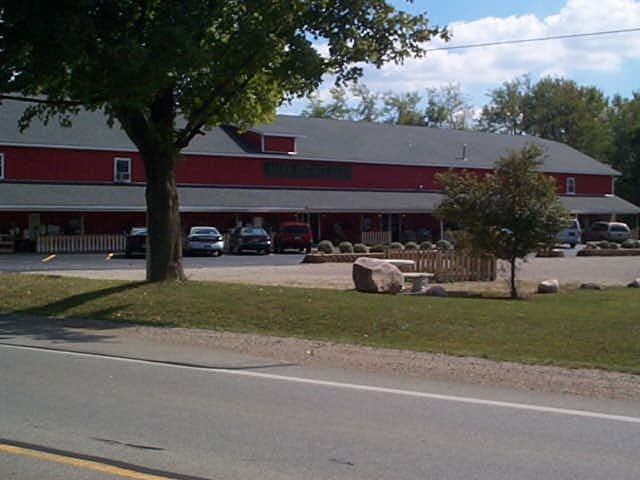 * The Allen Antique Barn has TWO MALLS UNDER ONE ROOF with 25,600 square feet dedicated to antiques and collectibles. * We have something for everyone with our two floors of booths and showcases. Don't worry about climbing stairs to the second floor; we also have an elevator for your convenience. * You will find that we have the areas largest selection of antique furnishings. * Bus and camper parking is available on site. So bring as many people as you like. * We won't leave you hungry. Several full-service restaurants are within a short distance from our building. If you sell antiques and collectibles, contact the Allen Antique Barn to see how we can save you money!!! Pegboard booths starting at only $26/month with: No Commission, No Workdays, and No Contracts!!! We're always looking for quality antique and collectible dealers to join our store. Space is extremely limited. Please contact us today. Please click on the link to see the area's official travel web site www.discover-michigan.com It contains information on travel, events, lodging, and more!! !